The paper extends the study of the modified Borwein method for the calculation of the Riemann zeta-function. 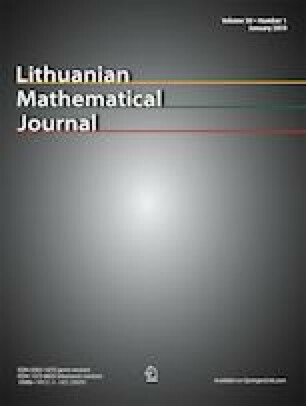 We present an alternative perspective on the proof of the central limit theorem for coefficients of the method. The new approach is based on the connection with the limit theorem applied to asymptotic enumeration. I. Belovas and L. Sakalauskas, Limit theorems for the coefficients of the modified Borwein method for the calculation of the Riemann zeta-function values, Colloq. Math., 151(2):217–227, 2018, available from: https://doi.org/10.4064/cm7086-2-2017.